For Mac users stuck in a Windows-dominated office, there is hope. Virtualization software such as Parallels Desktop and VMware Fusion let you run the Windows operating system and Windows-only programs on a Mac, but the install process is complex and time-consuming, and the programs can slow down even a speedy Mac. As an alternative, Codeweavers CrossOver Mac Professional 7.0.2 uses just the Windows application programming interface (API) to run Windows apps on your Mac, without the Windows OS. CrossOver is a kind of “translator of a translator” and relies on an open source program called Wine. When you install and run Windows apps, Wine is actually translating the API calls that allow a Windows program to run, such as “pull up this dialog box” or “save this file.” CrossOver hides the clunky interface of the open-source Wine software behind a more Mac-like interface. 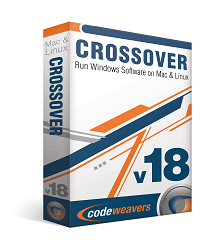 CrossOver is an ingenious idea for a program that can save time and costs less than buying a separate copy of Windows. Still, before you dream of storming the beach in Call of Duty 4 or running the latest Windows version of Adobe Photoshop (because, say, your company has a Windows-only site license), be aware that CrossOver supports only a handful of commercial applications, many of them from Microsoft; otherwise, it’s hit or miss. CrossOver supports several games, including Half-Life 2: Episode 2 and Counter-Strike, which both ran like they were on their native platform and without any major glitches. Unfortunately, a vast majority of the latest PC games, such as Crysis and Call of Duty 4—a major reason you might want to buy CrossOver—are not fully supported yet. For example, Crysis seemed like it would install, but did not. For productivity tools, CrossOver fully supports Microsoft Office 2000 apps, and also supports more recent software—including Office 2003, Quicken, and Lotus Notes—but with known bugs. The Pro version of CrossOver ($60) we used for testing includes two distinct versions of the program, one for productivity and one for games. The Standard version ($40) does not support games. This is a little confusing—I would prefer one app that ran both applications and games in a Pro version instead of having two icons on my Dock. For supported apps, installation works great. For example, if you insert the installation disc for Adobe Photoshop CS2, CrossOver launches automatically and prompts you to install it. The installation takes place using the Windows API. CrossOver also adds newly installed programs to the Mac Applications folder, and you can launch them from the Dock. When you print, CrossOver uses your Mac print driver. In daily use for fully supported apps, CrossOver worked like a charm: it rarely got in the way of running Windows software and it’s easy to use when you know the program is fully supported. 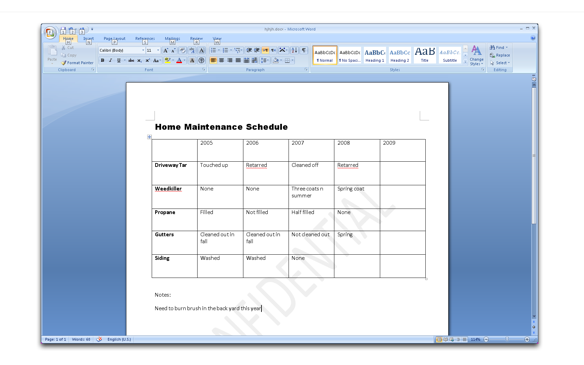 The latest 7.0.2 version adds support for Microsoft Office 2007—compelling as long as you’re not already using Office 2008 for the Mac, released in January. 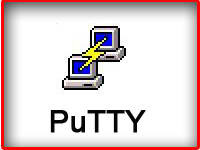 Some companies have a standard desktop that requires everyone to run the approved Office version (likely for Windows). So if Mac users can install CrossOver, they can run Office 2007 in a matter of minutes. With CrossOver Mac Professional, you can run Windows apps, but without ever touching an actual Windows operating system disc. In tests, Word 2007 worked just fine for typing up documents. However, many features—the clip organizer, charts, and mail merges, for example—did not work. Both Excel and Outlook crashed a few times on my MacBook Pro. However, I did run Outlook 2007 for long periods—marking incoming e-mails with urgency flags, viewing a task list, and setting up my day-to-day schedule—without problems. Codeweavers says it is currently tweaking Wine for full Office 2007 compatibility and acknowledges that CrossOver support for Office 2007 is still a bit rough around the edges. For officially unsupported apps, Codeweavers hosts a forum where users can report their experiences in testing software and award color-coded badges to indicate the program’s level of support. For example, you can find out if Quicken 2008 runs well (e.g., gold), has some minor or major issues (e.g., silver or bronze), or will not run at all (e.g., “Not known to work”). (Visio 2003 might work, while Quickbooks likely won’t.) CodeWeavers oversees the forums for user advocates who test Windows programs, but does not provide a standard testing methodology or distinguish test results by hardware specifications. It also provides some Wine testing scripts. I would strongly prefer that CrossOver maintain a database of supported commercial software and, when I attempt an install, present an alert box with information about whether the program will work. This would save me a trip to the Web site. For example, I tried to install Adobe Photoshop CS3 before checking the support forums. During the installation, CrossOver merely acted as if it were waiting for the installation to complete. It never did, so I had to quit CrossOver and, eventually, had to reboot entirely. A simple alert that CS3 apps will definitely not work, or showing the related “gold” and “silver” rankings, would have helped immensely. CodeWeavers says it is working on more alerts for the next release. 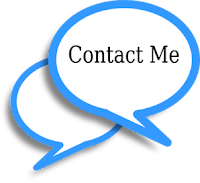 CodeWeavers does offer exceptional e-mail- and telephone-based tech support. For one problem—running the unsupported version of Adobe Photoshop CS3 for Windows—tech support responded in three hours and provided a concise answer: the application is not supported at all. For another problem—printing to a PDF file in Word—the support was much more helpful, providing a clear solution (use the CUPS-PDF driver and print to PDF) in the same time period.